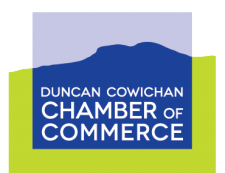 Come and join the Cowichan Valley Garden Club for our February meeting, featuring guest speaker Bernie Dinter of Dinter Nursery talking about Small Fruits – the Under-utilized Edible. "A wide range of hardy and attractive shrubs and vines is available for creating a permanent, edible landscape. These plants will supply tasty berries from June to October and are easily incorporated into landscape planting. All the major types and a few unique ones will be discussed, including best varieties for our area, growing requirements, care and pruning. "Bernie is owner of Dinter Nursery, a full-service nursery with growing facilities, that serves customers from all over southern Vancouver Island with its extensive selection of plant material. Bernie grew up on the campus of Shawnigan Lake School, where his father was gardener. His father began ‘Dinter’s Nursery’ in 1973 and Bernie joined it full time after graduation from UBC with a degree in Plant Science." 7:00pm start, however the hall opens at 6:30 for Parlour Show viewing.